Ever wish you could drive away in a new car and just not have to make payments? 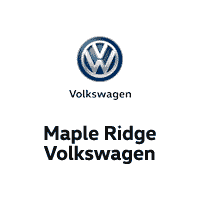 Maple Ridge Volkswagen can make that wish come true for up to 180 days and make a Payment 180! Go up to 180 days with no worries about those pesky car loan payments and some breathing room to help you get caught up or get ahead on some bills! Don’t forget to ask about how you can also get up to $10,000 Cash Back! Save thousands & avoid those payments for up to 180 days! See our huge selection of new vehicles! Dealer#30900 All prices are plus applicable taxes and documentation fees of $697. All offers are subject to approval conditions (OAC). No payments for 180 days, means payments are deferred not skipped. Full term of payments are still required to be paid in full to satisfy the terms of the finance contract. Payments would commence 180 days after contract date. Interest accrues during the payment free time based on contractual terms and must be satisfied regardless if full payment is made at any point. Cash back amount is added to the vehicle loan and included in the payments OAC. Example vehicle STK#JN009691. All dealer rebates, discounts, factory incentives, prices and interest rates are subject to change or end without notice as new retail incentive programs are announced. Other conditions may apply. Can’t be combined with any other offer. All advertised prices are net of all incentives, rebates, and offers, including push, pull, drag and other discounts.